Details mean everything. Acero’s flexibility to solve our customer’s problems means no machining problem is too difficult. We are driven to perfection. And, we won’t quit until it’s just that – perfect. 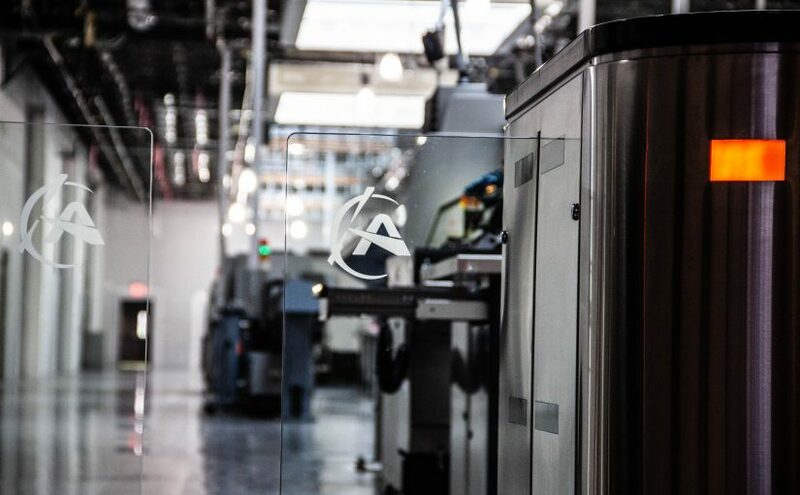 At Acero we do whatever it takes, that’s why we’re the trusted solution, FOCUSED on precision manufacturing. Acero is determined to pursue innovation and discipline in everything we do in order to solve our customers’ problems. Our organization supports the best in precision manufacturing available on the market today. Our innovation is our unique environment, second to none in purpose, design and inspiration. Our customers rely on Acero’s laser-focused dedication to precision and our rigorous attention to details. It’s in our name for a reason. These guiding principles are meant to be an unwavering guide, dictating behavior and helping Acero to determine if we are on the right path and fulfilling our goals. Having a customer focus is a strong contributor to the overall success of Acero and involves ensuring that all aspects of the company put our customers’ satisfaction first. We view situations from the customer’s perspective to understand better what our next move should be. Acero is dedicated to continuous improvement, recognizing the importance of the actions we take for strengthening the quality of a product, improving customer satisfaction, and for improving efficiency, productivity and profits. Acero adopts the 100/0 concept for accountability in the workplace. This means 100% responsibility/0 excuses. We focus on what we can do, not what we can’t do. We make no excuses – we can always have more resources, more support, more time… but how do we succeed with the resources we have, what support are we willing to ask for, how can we meet our obligations in the time we’ve been given? See it, Own it, Solve it, Do it. Without responsible behavior, distrust can make a work environment tense and uncomfortable. Our team has a strong work ethic that shows co-workers and clients that we’re reliable and take our responsibilities seriously. Polite communication, respectable behavior and fiscal responsibility also help our whole team stand out as trustworthy employees. Self-control, especially in the face of adversity, requires blood, sweat and tears to get results. It is the enduring, intrinsic motivation that drives every employee at Acero to succeed. Maintaining a respectful workplace is the responsibility of all employees – for the people we work with and for, the equipment we use and the facility we work in. Mutual respect in the workplace is based, in large part, on respect for colleagues’ abilities and skills. Mutual respect acknowledges talent, not race, color, gender or culture. There cannot be success without respect.